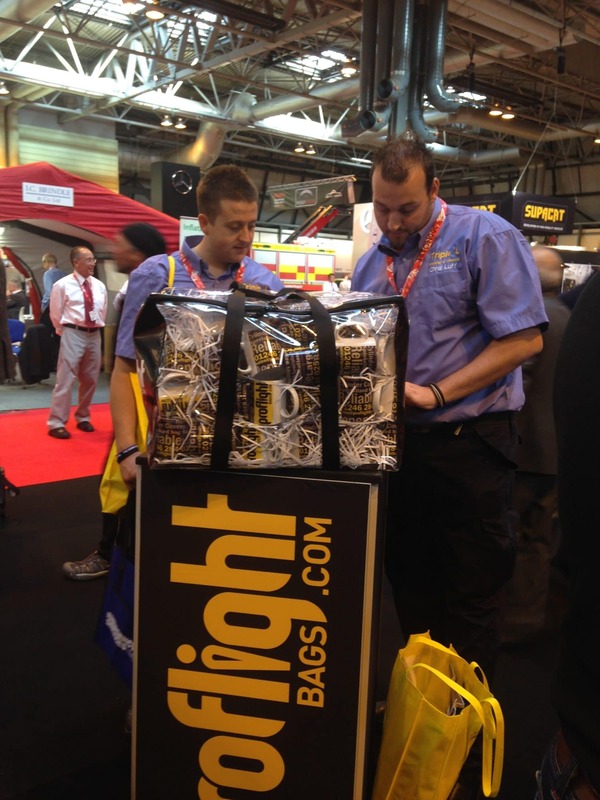 Around 4000 guests flocked to the NEC again this year for the Emergency Services Show. 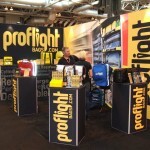 Proflight were pleased to be involved again this year and were thrilled with the response our new bigger better stand received. 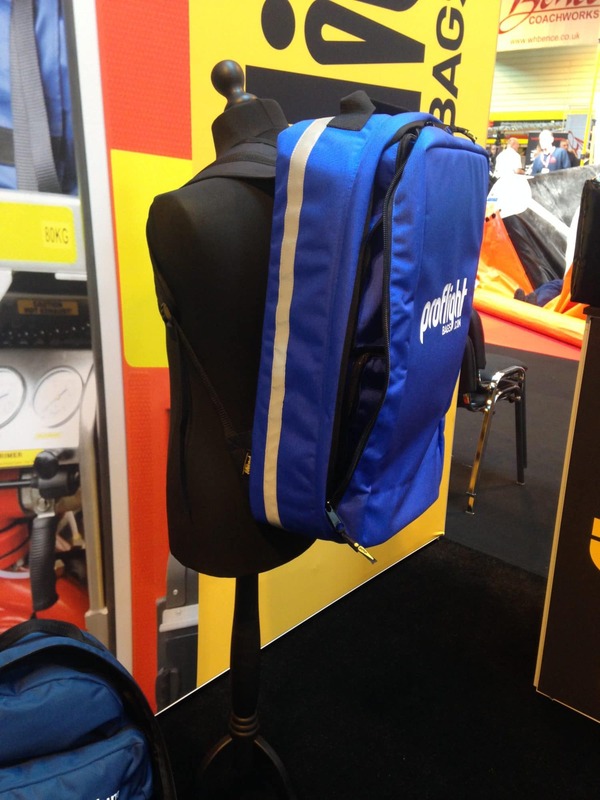 The show event held over 2 days saw a huge range of state of the art and potentially lifesaving equipment. 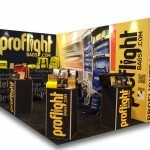 Proflight is pleased to report that we had a great show. 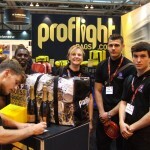 Appreciating the efforts of other exhibitors and enjoying the chance to discover a few potential new opportunities. 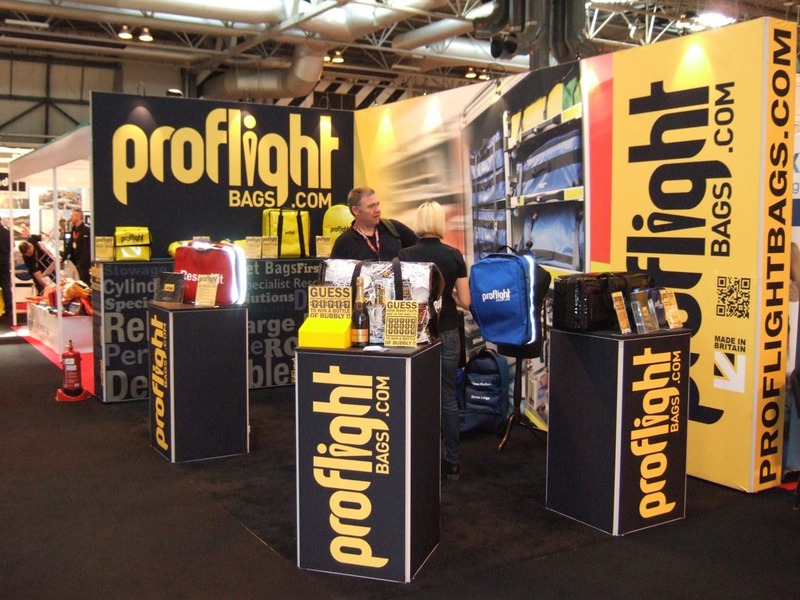 Our sister company Banner Box also at our Staveley base assisted with the show by creating the striking print which mounted on our fabric tension system stand. 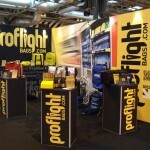 We were able to enjoy the additional room and benefits of a more wow factor stand than in previous years. 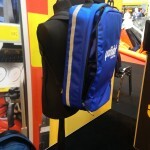 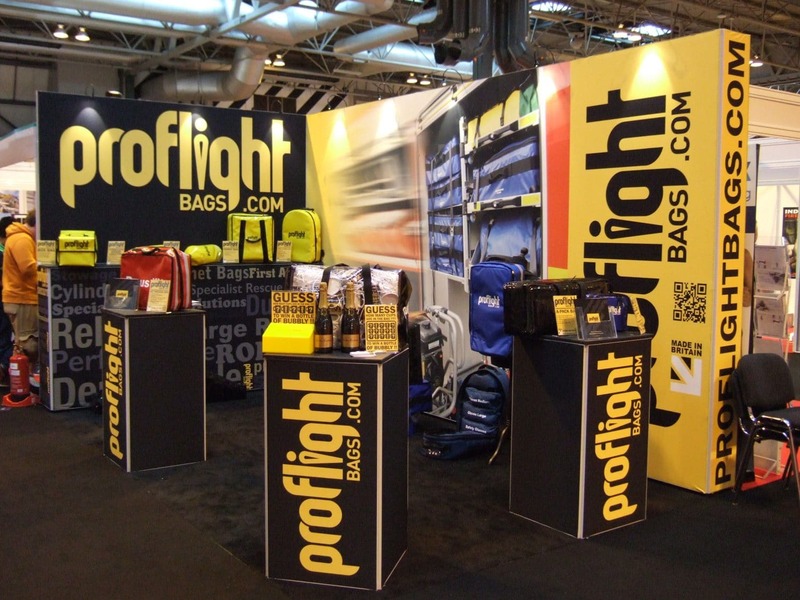 We took the opportunity to take a diverse range of our bespoke bags to the show and were pleased with the response. 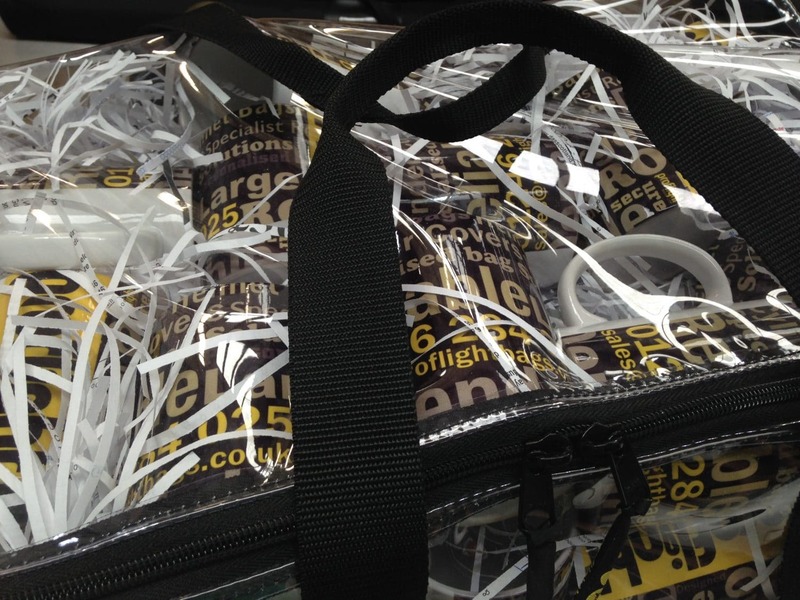 Proflight also decided to host a show competition to win a rather extravagant bottle of champagne, simply guess how many mugs are in our Proflight bag. 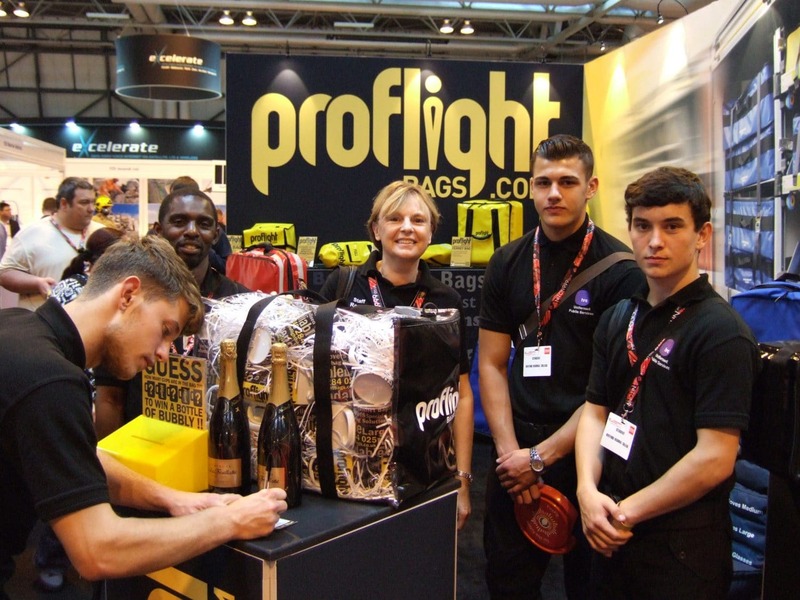 This proved more challenging than expected but I can confirm we had 1 clear winner on each day. 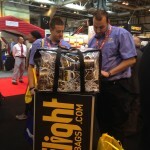 These were Emma Spratt and Keith Howlett – Congratulations and enjoy your yummy prize. 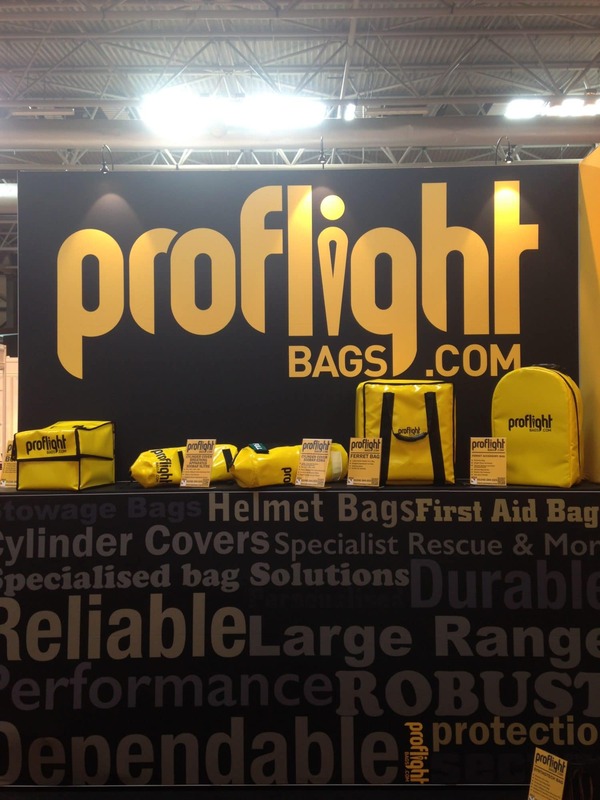 We would like to thank everyone for their efforts and are pleased to say a Proflight mug is on its way to some of the runner-up entrants. 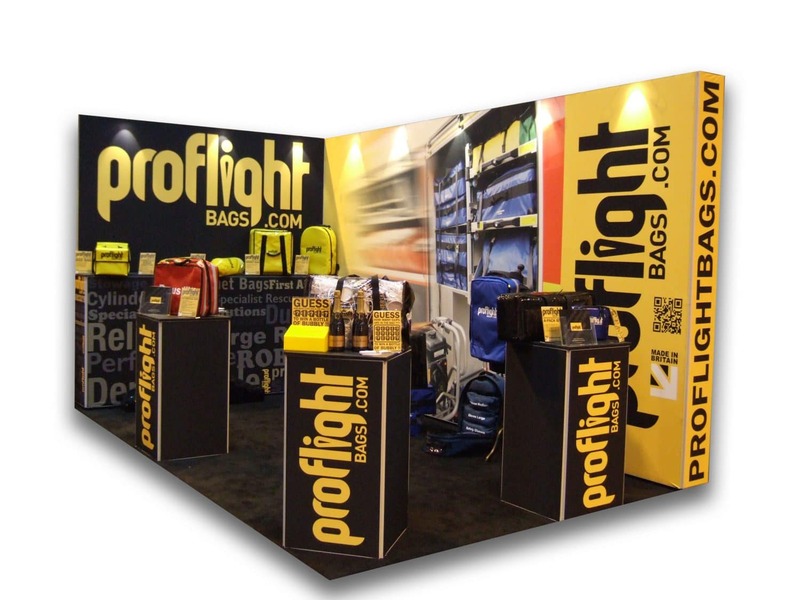 The Proflight team would like to take the opportunity to send thanks to the many exhibitors and guests which make the show a success. 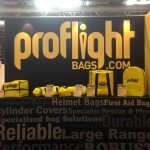 We particularly enjoyed discussing some new avenues for Proflight and are hopeful we will be there again next year. 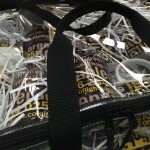 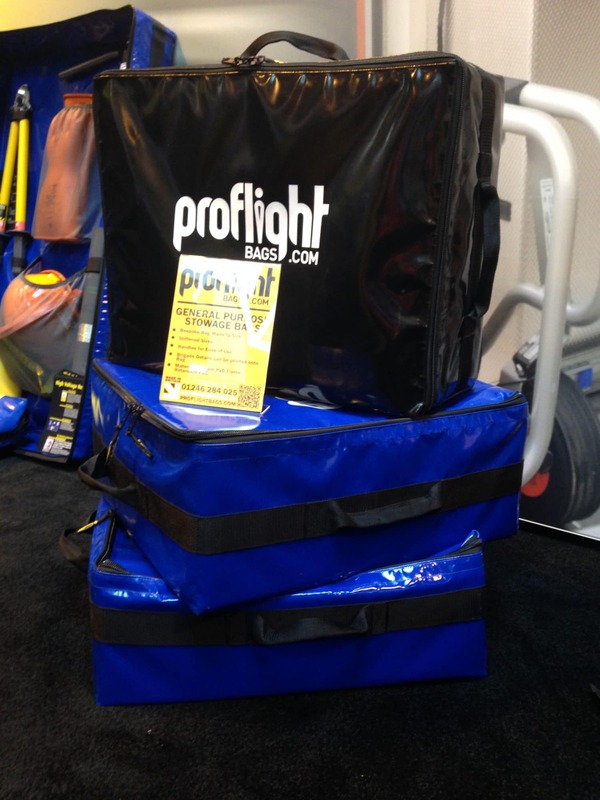 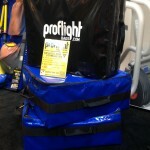 This entry was posted in Custom Bags, Emergency Bags, Trade Show on September 30, 2014 by Proflight Bags.